Choose the right weapon for the fight! 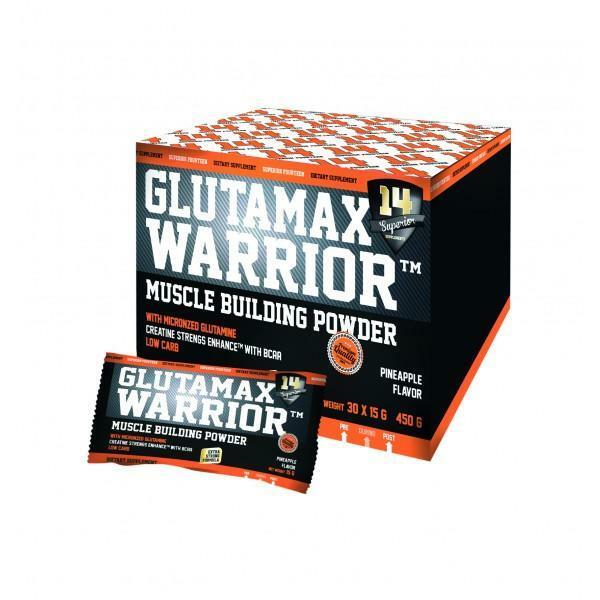 GlutamaX Warrior! GlutamaX Warrior is a unique Glutamine supplement that stimulates the biosynthesis of muscle proteins, decreases regeneration time after a work-out and prevents over-exertion during intensive training sessions. It contains a combination of glutamine from various sources which ensures a quick saturation and also provides a long lasting increased level of glutamine in the system. Glutamine is an amino acid of fundamental importance to the bodybuilding process - it constitutes over 60% of the amino acid groups in the muscles and is involved in protein synthesis and plays an important role in hydrating muscle cells.